Korea National Railroad (KORAIL) has established a joint venture travel company with Lotte Travel, one of the country's leading travel agents. 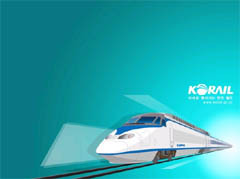 Under an agreement, Korail and Lotte will inaugurate the company in August. Park Keunjoo has been designated as president and CEO of the new travel company tentatively named as KORAIL Travel Co. with an initial paid-in capital of 1 billion won evenly shared by Korail and Lotte. Its head office will be located near the Seoul Railway Station. The company will start with a staff of 15 to 20. The Korail Travel, Korea's version of JR of Japan, will be involved in various travel-related businesses including inbound and outbound travel products, hotel reservations, shipping services, sales of airlines and rail tickets and passes. Among other projects which will be undertaken by the company also include development of theme parks in provincial areas in coordination with local governments, constructions of hotels and realty businesses. What they described as "surprise air tickets sale" by Korean Air between April and June this year was successful in attracting tourists to Japanese destinations such as Niigata and Aomori. With high season in full gear, such an off-season sale gimmick is coming back as boomerang for travel industries as a whole. Because of big price differential between high and off-season air tickets, there appear to be strong consumer resistance to air ticket policies, according to travel agents. For flights to some Japanese destinations including Aomori, Niigata, Nagasaki and Oita, Korean Air used to offer week-day ticketing price of 150,000 won or so between April and June this year under the so called "surprise" off-season ticket prices promotional plans dubbed as "299" or "399" formulas meaning 299,000 won and 399,000 won. With the high tourist season coming into high gear, however, air ticket price to Aomori, Japan, for instance, shot up to 700,000 won and group tour rates are discontinued to a big disappointment of Korean tourists who were preparing trips to Japan on the occasion of summer vacation. This means that air tickets to some Japanese destinations this summer season have jumped almost four times from the off-season discounted rates good between April and June this year. As a result, the package tour prices to Japanese destinations also bounced back to one million won to 1.4 million won when golfing option included from the off-season price tag of 399,000 won. 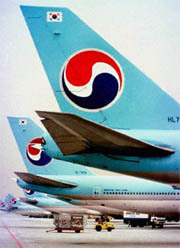 The discounted ticket sale was primarily designed to beat recession during the off-season on some routes linking between Korea and Japanese destinations but consumer resistance to the high seasonal rates will continue to remain as a key negative factor for sales promotion of package tour products of Japan. 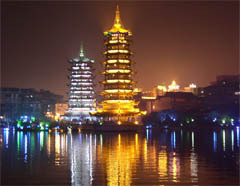 The pagodas along the lake in Guilin are lit at night. The latest statistics released by the Korea National Tourism Organization (KNTO) indicate that one out of every four outgoing Korean tourists destined for China during the first half of this year. Unlike the previous year, however, number of package tourists to China remains in the doldrums whereas those on corporate incentive tour programs are on the rise. According to a manager in charge of China market at Freedom Travel, performance of package tour business in China during the first half of this year was not so impressive, although there is a sign of market rebound in June thanks to increase of air flights and aggressive marketing activities of travel agents. Package tourists to China was about to pick up steam before fresh outbreak of SARS in China toward the end of April this year poured cold water on China travel boom. China market was not so good in 2003 and many travel agents earlier expected to see at least 30 percent growth of tourist traffic to China for this year. Tomb of Gen. Yue Fei (1103-1142) in Hangzhou. He was a national hero of the Song dynasty who distinguished himself in battles against northern invaders. In the view of China Southern Airlines, China market is not as bad as more business travelers and incentive tour groups are steadily increasing. All in all, package tour business seems to be dwindling both in terms of volume and profit, although market climate is better off as compared to 2002 and 2003, a market watcher said. During the latter half of this year, more flights serving Shanghai, Tianjin, Urumqi, Huangshan and Tiayuan will be made available. Some travel agents express concern that China market be adversely affected by the oversupply of passenger seats to China in the latter half of this year. South Koreans applying for U.S. visas will have index fingers scanned from late August, the U.S. Embassy in Seoul announced. In addition, interview rate is rising to 95 percent with the scope of interview exemptions drastically reduced leading to more difficulties and longer waits for South Koreans applicants. The U.S. Embassy in Seoul announced these and other visa-related measures that will take effect from August. 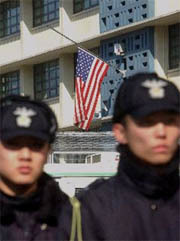 The new system is part of efforts to strengthen U.S. border security in the wake of the tragic 9/11 terrorist attacks. Security is tight in front of US Embassy building in downtown Seoul. The scanned fingerprints will be sent to the U.S. government so they can be compared with criminal records. The information will also be used when people enter the U.S. for identification purposes. The U.S. envoy also explained that the interview-exemption system will be changed as of August 2. 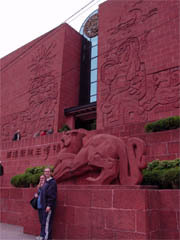 According to the plan, those hoping to enter U.S will be required to go through an interview process conducted by the U.S. Embassy, with only three reasons for exemptions. Those to be exempted from the interviews will include children under the age of 14 with at least one parent holding a U.S. visa, those aged more than 80, and Korean government officials holding official visas and their families. Alter said that there would be more visa interviews under the changed regulations, saying that the U.S. Embassy expected the interview rate to rise to 95 percent from the previous 65 percent. Meanwhile, reservations for visa interviews must be made online instead of by telephone starting August 22. 'An online reservation service will be launched for the first time in South Korea,' the U.S. Consul-General said adding that the system is aimed at promoting the efficiency and transparency of reservation services. 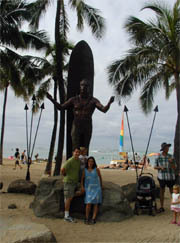 Applicants can make on-line reservations once they log on to the website of www.us-visaservices.com and fill in information required including reservation number, object of travel to the U.S. and departure date. Asked whether South Korea would be issued a visa waiver, Alter said that it was not likely so in the near future saying that five percent of South Koreans have been denied U.S. visas over the past two years, a figure that falls short of three percent, the criterion for the visa waiver. Travel industry sources said that tourist traffic to U.S. destinations will be negatively affected with the tougher visa requirements. At present, people from 27 countries are exempted from U.S. entry visa requirements and chances are not good for Korea to be included in the visa waiver nation list unless visa rejection rate be lowered to three percent or less. Hawaii Visitors and Convention Bureau (HVCB) is fully prepared for attracting more Korean honeymooners to visit Hawaii during this coming fall wedding season. Its marketing strategies in Korea have recently changed in such a way as to strengthen ties with local travel agents specialized in honeymoon marketing in a departure from the previous practice of having its independent sales booth at major local wedding fairs including Weddex and MBC Wedding Fair. As a result, local travel agents are getting more subsidies from the Hawaii tourism authorities for joint marketing programs selling Hawaii designations for Korean newly-weds. During a recent wedding fair held at COEX in downtown Seoul. 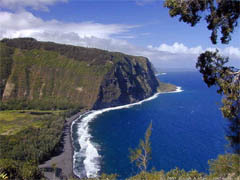 Promotional brochures made by local travel companies were carrying image advertisements of Hawaii tourism and list of Hawaiian honeymoon products under the sponsorship of HVCB. For those who purchased Hawaiian tour products at the wedding fair, the bureau handed out gifts and other promotional materials. 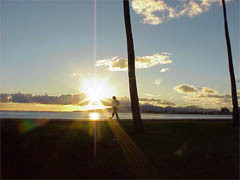 On the online wedding fair of honeymoon.com, the Seoul office of HVCB is introducing big name honeymoon resorts in Hawaii totaling 16 or so with a wide variety of information and photos. In coordination with Korea's major tour operators including Hana Tour and Mode Tour, the bureau is ready to make an aggressive sales promotion during this coming fall season.